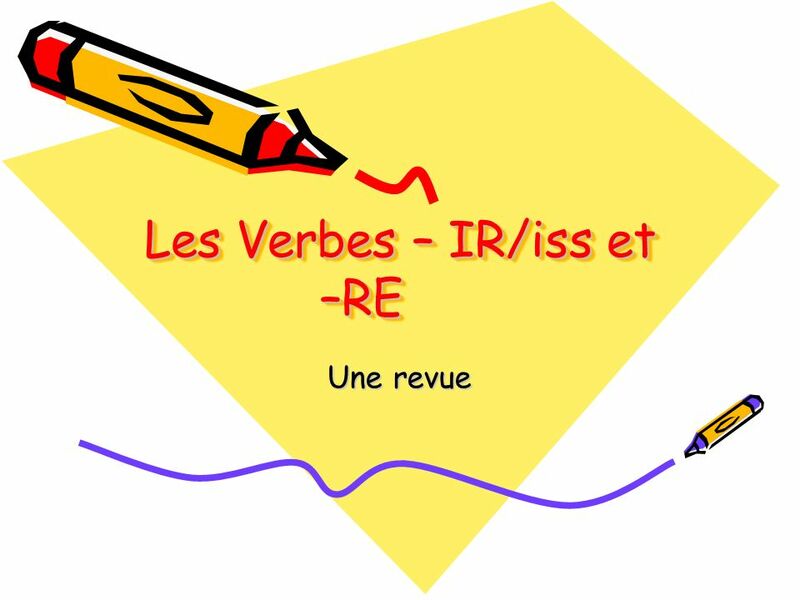 Télécharger ppt "Les Verbes – IR/iss et –RE Une revue. 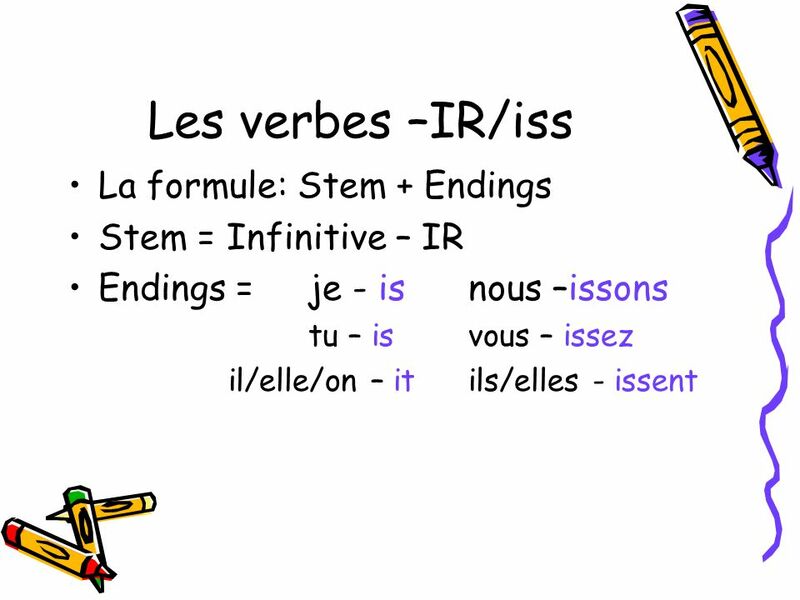 Les verbes –IR/iss La formule: Stem + Endings Stem = Infinitive – IR Endings = je - isnous –issons tu – isvous –"
IR verbs Games to practice!. 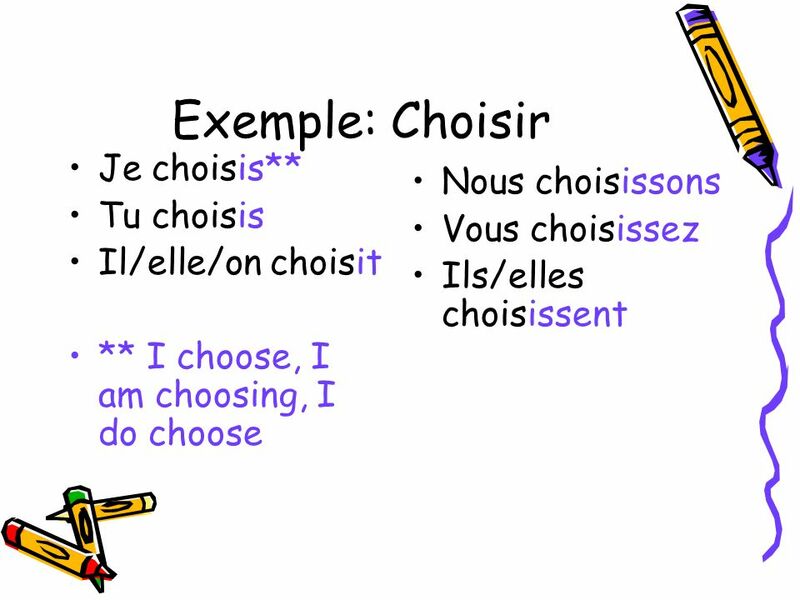 Chapitre un, niveau II Describing yourself and others Jai ___________ ans. 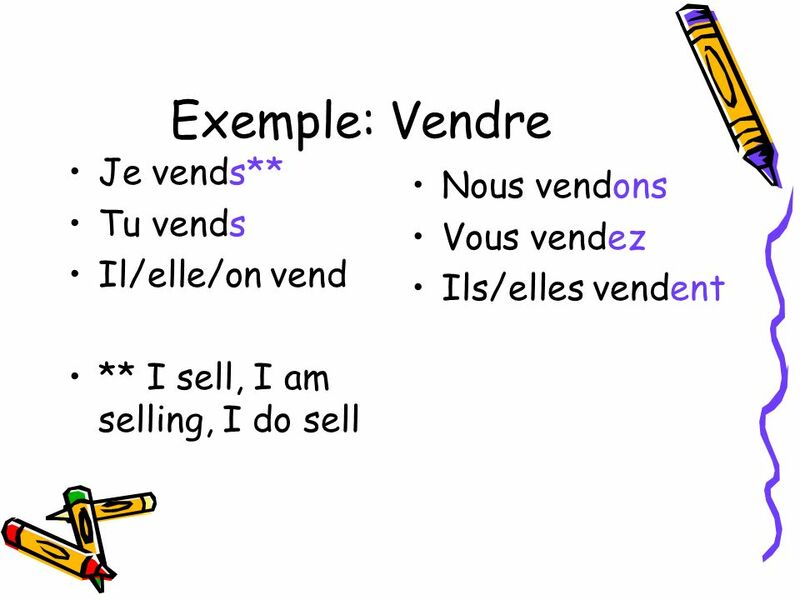 Elle a __________ ans. 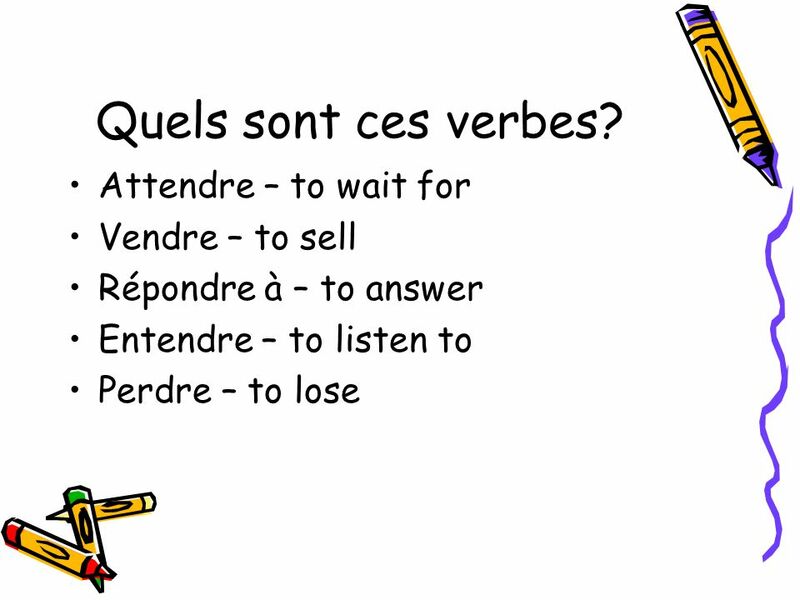 Jai les yeux ___________. *remember to use the masc. 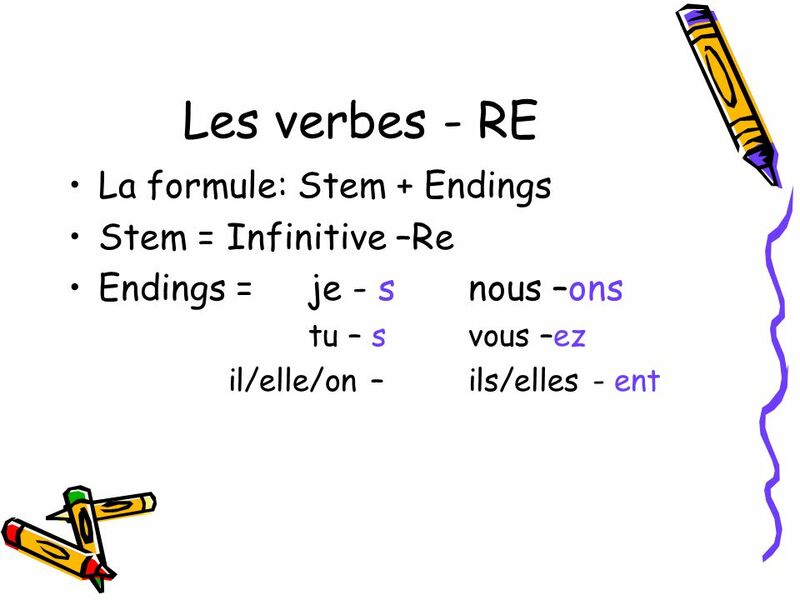 Regular –re verbs. 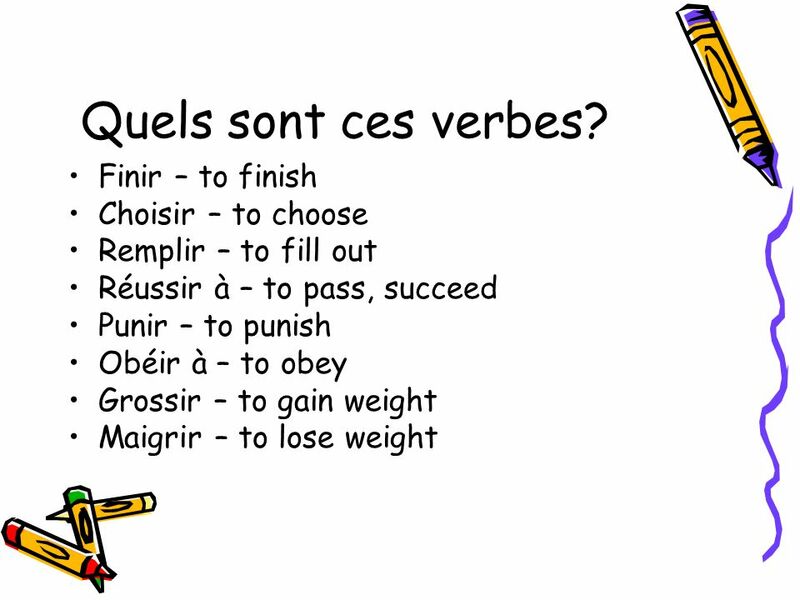 To conjugate regular verbs 1.Take off the infinitive ending 2.Find the stem (what is left after removing the infinitive ending) 3.Add.